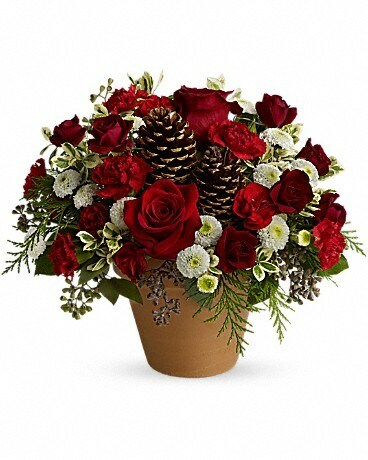 It's looking a lot like a cozy country holiday with radiant red roses, cedar, pinecones and more delightfully arranged in a rustic terra-cotta flower pot. 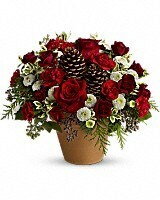 This gift is bright and the price is right. Why not surprise a bunch of your favorite people?